Continuing from my last post, it appears that Mincing Lane continued to be an important area for trade in London…. Nevertheless, the next two notable residents of Mincing Lane that I discovered revealed that the lane was also home to members of the medical profession. The 1737 publication of The Present State of Great Britain listed John Bamber as practicing physician of Mincing Lane. Due to Bamber’s wealth and good reputation, his daughters married favourably. 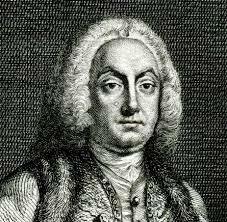 In 1723, the first of Bamber’s daughters, Margaret, married Crisp Gascoyne, a brewer who later became Mayor of London in 1752. Records should that in 1755 Gascoyne was living in Mincing Lane and it is believed that he occupied his father-in-law’s house. Later, I looked over John Millan’s universal register of court and city offices, which lists all Physicians legally authorised to practice in London in 1756. The register records Moses Griffith and Matthew Clarke as practicing physicians of Mincing Lane. 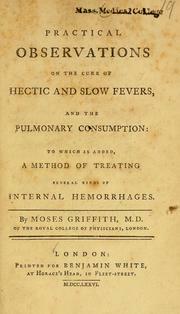 Clarke was a fellow of the Royal College of Physicians in London, while Griffith was known for his book Practical Observations on the Cure of the Hectic and Slow Fevers, and the Pulmonary Consumption. So it appears that the wealthy intelligentsia also set their sights on Mincing Lane for their home and practices. Moving on to address where the Chinese porcelain was found, 21 Mincing Lane, the first name I was able to associate to this property was John Hunter. In 1792, Hunter, an apothecary, insured his household belongings as well as the building material of 21 Mincing Lane, which he stated as his dwelling house. The following year Hunter renewed his insurance but this time he insured china and glass. John Hunter at no 21 in Mincing Lane Gent on his household goods in his now dwelling house only situate as aforesaid Brick not exceeding £250. Wearing apparel therein only not exceeding £50. Plate therein only not exceeding £50. John Hunter at no 21 in Mincing Lane Gent on his household goods in his now dwelling house as situate as aforesaid brick not exceeding £540. Wearing apparel only not exceeding £140. Plate therein only not exceeding £90. China and Glass therein only not exceeding £30. From these records, it is suggested that Hunter owned this property since he insured the raw materials of the house, which only the owner of the property would responsible for. In addition, his title as a gentlemen and his increasing wealth would indicate he was involved in the profitable trading of pharmaceuticals as opposed to being a humble apothecary. It can therefore be surmised that Mincing Lane continued to be dominated by posh and wealthy folk. The parish records of St Dunstans in the East revealed that John Hunter married Sarah Woodhouse in 1792. The couple had 13 children together: John born in 1793, John born in 1794, Sarah born in 1795, Jane born in 1795, Ann born in 1798, Mark born in 1799, Sarah born in 1801, Julia born in 1802, Lousia born in 1804, Richard in 1806, Ruth born in 1807, George born in 1808 and Amelia born in 1810. So I think it is fair to say that 21 Mincing Lane was likely to have been a sizable property in order to be able to house this ever expanding family. At some point after the birth of their last child, the couple moved into Southampton Street, where Hunter died in 1833. The next occupant of 21 Mincing Lane that I found was a Mr T. H. Daniel who was registered in the Holden’s Annual Directory of 1817 as a sugar and fruit broker. The 1822 Baines’ History and Directory states that a company called Skipper and Son occupied 21 Mincing Lane. When I began to search more into this company, I came across an issue of the London Review from 1818, which announced the marriage between Mr William Mayatt of Ramsden-park, Essex to Elizabeth, third daughter of Peter Skipper, Esq. of Mincing Lane. I then searched for Peter Skipper and discovered in Kent’s Original London Directory of 1823 that Skipper and Son were stationers. The next company to operate from 21 Mincing Lane was Innes Brothers & Co. wine merchants who were recorded in the 1856 Post Office Directory. Then along came the tea companies… In the 19th century, 21 Mincing Lane was the headquarters of T. Catling & Co. 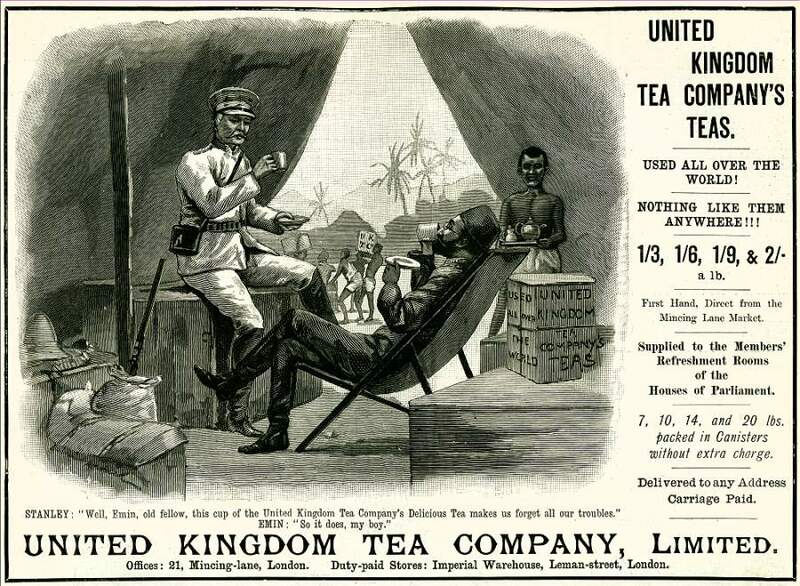 I found out about this tea company whilst looking through a deed concerning the trade of Tea Commissions, and otherwise, in Ireland and to convents and religious institutions in England. The deed was made between Mr W. Barnewall and Thomas Catling in 1887. Then, in 1890, Whittard of Chelsea moved into 21 Mincing Lane. Later records show that at some point in the late 19th century the property was home to The United Kingdom Tea Co. Ltd until 1900. From 1900, it is possible that the property was used by the Indian Tea Association until sometime after the First World War. The final record I found mentioning 21 Mincing Lane revealed that the Ouvah Coffee Company Limited occupied the site at some point in the 20th century until 1940. And that concludes my research into Mincing Lane.